Give students several opportunities to practice writing shorter narrative pieces before assigning a longer piece. Teaching students to compose narrative writing pieces gives them the unique opportunity to use their personal experiences to create writing that expresses their own stories, thoughts and point of view. For this reason, when you embark on the task of teaching narrative writing, focus not only on the structure and mechanics of narrative writing, but also on the process of brainstorming and supporting your students in developing a personal voice and style to convey their thoughts. Give elementary students several examples of narrative writing, such as Alexander and the Terrible, Horrible, No Good, Very Bad Day by Judith Viorst. Discuss the stories' organization into introduction, middle and conclusion. Point out details and descriptions for your students to use as models for their writing. Have your students create a timeline of their own life to pinpoint significant events they could write about, such as moving to a new house, the birth of a sibling or their first time playing a new sport. Support students as they begin to zoom in on a specific event, like the examples. 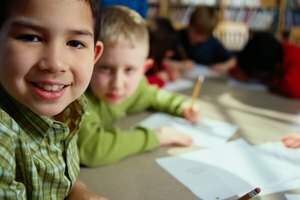 Prompt young students to add details using their different senses and older elementary students to think about ways to convey emotions through their writing. Urge middle school students to move beyond the basics of telling a story by teaching them to apply stylistic techniques to their narrative writing pieces. Introduce your students to the technique of using flashbacks in writing to heighten reader interest and engagement. By first showing a clip from a movie that uses a flashback, such as The Sandlot, and asking students to write the scene from a chosen character’s perspective, students will learn how to play with time in order to make their narrative writing exciting. Try having students deconstruct and reconstruct narratives: After reading a short story, such as The Monkey's Paw by W. W. Jacobs, students deconstruct the short story into the basic story elements, creating a story board, then trade story boards with a partner who read a different story and use the story board to create a narrative. Have high school students continue developing their skills as narrative writers using different points of view. Going beyond the general first-, second- and third-person models, explain different POV structures that narrative writers can use, such as an unreliable first-person perspective. Have students experiment with POV structure, responding to short narrative writing prompts. To deepen their creativity in narrative writing, have your high school students write a narrative of an event that happened in their life and then re-write the event as if they had the chance to go back in history and change their actions. Alternatively, have students each write an opening sentence to a narrative, then trade sentences with a partner. Direct students to complete the story using their partner's first sentence. Although more advanced high school students and college students may typically associate thesis statements with expository writing, teach them to also think about using a modified thesis statement in narrative writing. For example, a thesis statement in a narrative essay about a trip to another country may be, learning about other cultures helps people reflect on their own culture. Have students give their writing a clear underlying message, perhaps connecting the story to a universal experience. Older students can also learn to use details and descriptions to show rather than tell experiences, allowing readers to become actively involved in the story instead of passively receiving it. 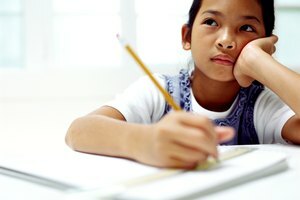 For example, instead of writing, "I was tired," guide students to include other details that would suggest fatigue without explicitly stating it, such as "the weight of my eyelids had never seemed so noticeable." Post, Anne. "How to Teach Narrative Writing." Synonym, https://classroom.synonym.com/teach-narrative-writing-2181924.html. Accessed 23 April 2019.